A few years ago Jane’s life as she’d known it had spiralled out of control. She’d gone from having a successful career as a nurse to being in an extremely abusive relationship and facing personal tragedy which had a huge impact on her mental health and led her to turn to alcohol as she tried to find a way to cope. Here’s her story. “Seven years ago I was in a desperate place. I suffered a severe nervous breakdown and my mental health issues meant that I wouldn’t leave the house. I felt completely alone and didn’t have anyone to turn to. “Things got so bad that I ended up in NHS crash pad accommodation for people in crisis. This got me out of immediate danger but it wasn’t a permanent solution. I couldn’t imagine going back to the place I’d been renting. “My social worker suggested that I might benefit from supported housing. When I was offered a place with Endeavour Housing Association, I jumped at the chance. I knew I wasn’t coping alone and I was ready to accept the help I needed to get back on track. “Since then I have never looked back. I honestly don’t know where I’d be now if it wasn’t for my support worker, Faye. She was my lifeline. “Faye helped me with simple but important tasks that I couldn’t have managed on my own. Things like making phone calls, helping with my benefits applications and accompanying me to medical appointments. “She also helped me reignite my passion for arts and crafts. This made a massive difference to my quality of life. She helped me find courses to try and slowly but surely my confidence began to build up again. I now do everything from patchwork and knitting to basket weaving and jewellery making. I absolutely love it and without a doubt it has helped me on my recovery journey. 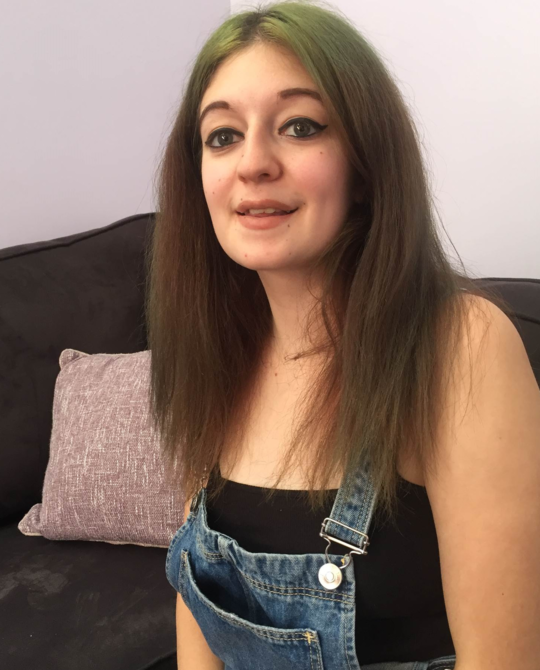 “I wouldn’t say I’m totally recovered, but I’ve got my independence and confidence back now and that’s all down to the chance to live in supported housing. It’s enabled me to move on and I’m now in my own place. Anne-Marie I’m settled now and I hope to see more places like this built for lots of people like me. Supported housing helped Anne-Marie to regain her independence after leaving hospital.